Lake Tahoe-Truckee’s beauty is immeasurable and not easily taken for granted. Those of us who spend our time here, either as full or part time residents or vacationers, naturally become stewards of our environment and our community. We take care of our lands and waters, and we greet our neighbors and passersby warmly on the trails and in corridors of stores and street fairs. While we may be famous for outdoor adventures and Olympic athletes, our community members are diverse and passionate. We have activists, theatre ensembles, holistic health practitioners and writing groups. We are artists, creators and mentors. We dance, we sing and we dedicate ourselves to causes that touch our hearts. Other communities may be special — but nowhere is like Lake Tahoe and Truckee. During the holiday season the energy here is palpable. People are inspired by reflection, giving and gratitude. Many cherish the holidays as a time for visiting with friends and sharing with others. With that in mind, and with the national #GivingTuesday campaign happening today, the Sierra Sun and Tahoe Truckee Community Foundation are happy to commence our second Season of Giving with the 2015 Give Back Tahoe Giving Guide. In 2014, we highlighted 60 nonprofit efforts in the Giving Guide across seven categories of community service: Animal Welfare, Arts & Culture, Community Improvement, Education, Environment, Human Services, and Youth Development. After all was said in done, our inaugural effort was a wonderful success, as we received 277 gifts and collected $81,872. And, after various matching grants, a total of $124,832 was infused in our community. Last year’s successes encouraged more nonprofit organizations and donors to come to the giving table this year, and we are excited to elevate our nonprofits and to share their amazing missions with you. Also this year, we have added a total of $40,000 in weekly Challenge Grants that will amplify your impact when the nonprofit you support wins. And this just in: Many of the nonprofits we are featuring in this year’s Give Back Tahoe Giving Guide (which was inserted in the Nov. 25 edition of the Sierra Sun, and is available at the TTCF office in Truckee) have secured an additional $220,000 in matching grants for whatever is raised during this year’s campaign! We’ve even added a volunteer component, and more than 80 volunteer opportunities can be viewed throughout 2016 on our site or in the Wednesday print edition of Sierra Sun. When you’re ready to give, visit http://www.givebacktahoe.org and join our collective impact. As of this writing, more than $20,000 has been donated already, and it’s only day one! A gift to a cause that is important to you is always generous. When a community gives collectively then the impact is that much greater. The 2015 Giving Season began Tuesday and runs through Dec. 31. 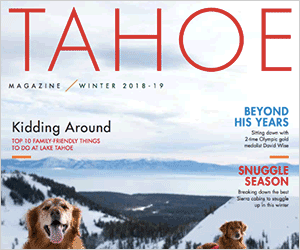 Let the Give Back Tahoe Giving Guide be a tool to learn more about your community and the people and organizations who work so diligently to preserve and nurture everything you love about Tahoe-Truckee. 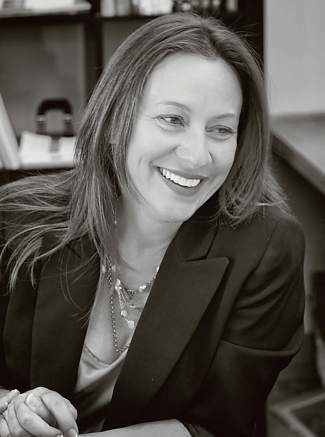 Stacy Caldwell is CEO of the Tahoe Truckee Community Foundation. Kevin MacMillan is managing editor and co-general manager of the Sierra Sun and North Lake Tahoe Bonanza newspapers. Visit givebacktahoe.org to learn more about Give Back Tahoe and to donate.